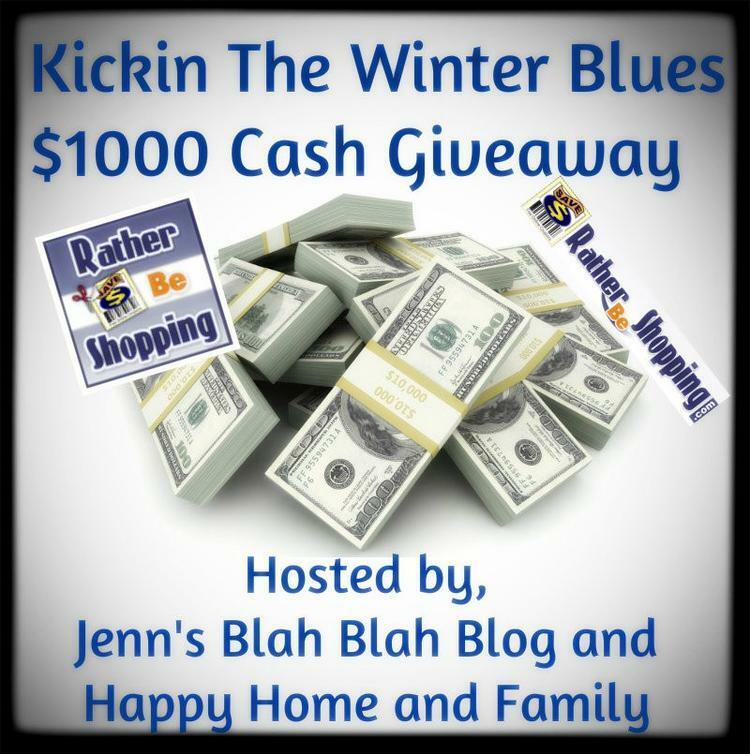 Kickin The Winter Blues $1000 Cash Giveaway!! My Best Tip for Saving Money with Coupons: Keep them on you at all times!!! There is nothing worse than going out shopping and you are missing a coupon! If you have a smartphone be sure to sign-up for all the store apps to the places you frequent because they often share coupons there that they don’t with the general pubic. Or sign up for email alerts, some stores have text alerts and you don’t need a smartphone for those! Thank you for making this event so much fun! Maybe you will be one of the FIVE lucky readers who will receive cash! Good Luck! Please CLICK the Rafflecopter Giveaway Link below to be taken to the giveaway entries! This entry was posted in Uncategorized and tagged bloggers, cash giveaway, giveaway, jenn's blah blah blog, paypal cash, rafflecopter, win stuff on February 27, 2013 by christinapertz1.